Does your Display Board meet the cut? Every time I am teaching I get asked, “Do you bring a display board with you?”. When I first started painting I made a beautiful board with color pictures. I had laminated each picture and created a masterpiece board! About 5 parties in, I lost my board. I am a forgetful person and sadly I loose a lot. After that I was too distressed to make another. So I started offering children their choices and let them be surprised. Part of me didn’t like the board because then I got bored. 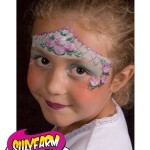 I felt restricted to only painting what the customers saw and I never got to try new designs. At the same time it helped me plan my time better because I knew how long each design took to execute. So I started thinking to board or not to board? If you are just getting started or enjoy carrying a display board I wanted to share with you a cool, inexpensive way to create a versatile board. I found this Pocket Chart at one of my favorite stores. It’s lightweight , colorful and the pockets are great for displaying my work. The best part about this board is that you can change out the pictures depending on the event. And this way it keeps us from getting bored. So if you are doing a princess party, then you can display only girls images, if you are doing a animal themed party you can display just animals and so on….I display my company info and the tag line on the middle square so it’s easy to find my card and see my info. The middle piece says Face Art by Hunny B or Silly Heather my number and Yes! I’d love to paint at your next event. take my card and I look forward to seeing you soon! This board is a great alternative to vinyl printed signs, because they can be very limiting. Once they are printed they can not be changed out. So you either have to buy several banners or just stick to your board. I also like to remind the customers that each design can be changed and kids can choose their favorite colors. So under each image I write… Pick your favorite colors and let me create a work of art! Remember, looking like a professional doesn’t have to cost you a million dollars. Good pictures, a great attitude, and professional service will pave the road to financial success. 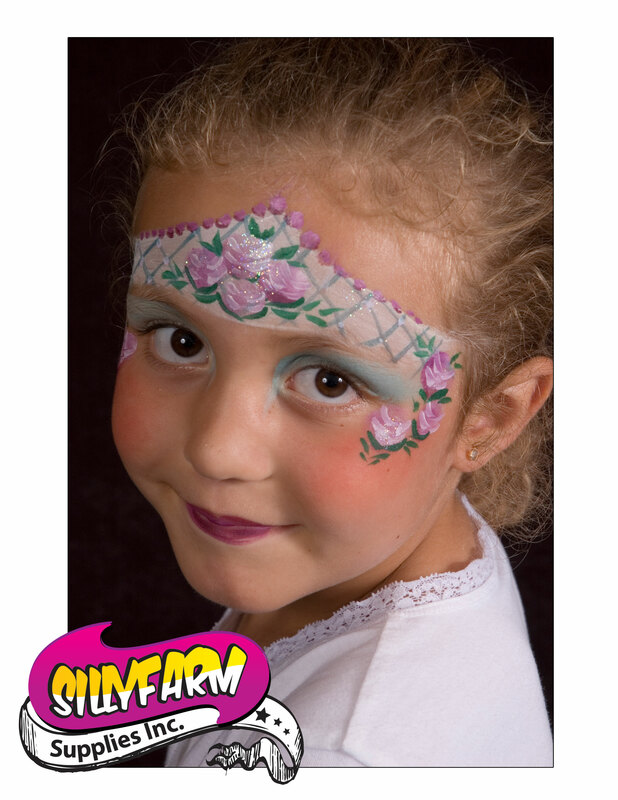 Download these three, full-page and full-color designs to use in your face painting display board, courtesy of Silly Farm Supplies. To Download these images please copy paste the following links in your browser, right-click on image and select ‘save-as’. 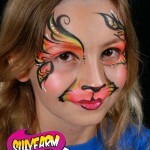 When I arrive at a face painting gig, I open my kit and the kids usually go crazy. I have a mile long line before I even open my chair. I immediately hear the chatter about wanting â€œthatâ€ on their face. The â€œthatâ€ they are referring to are my Silly Farm Rainbow Cakes. 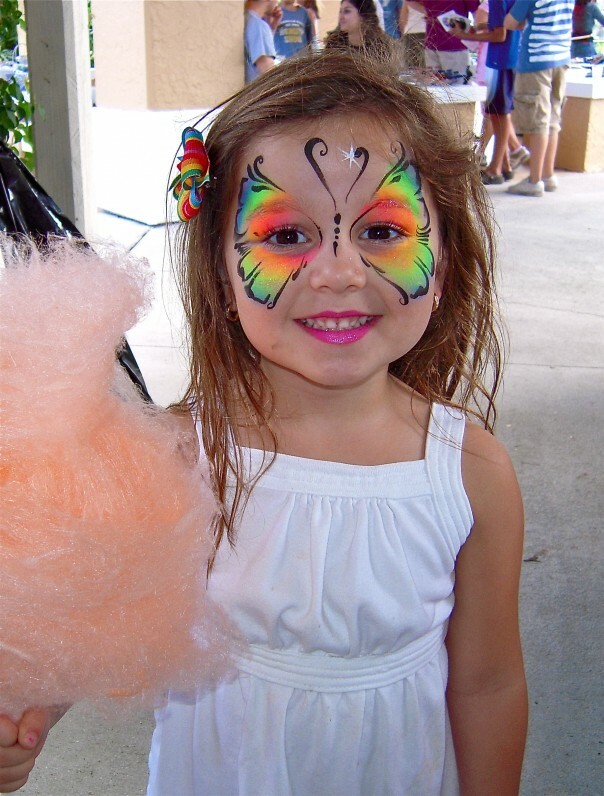 Face painting has been around for a LONG time. 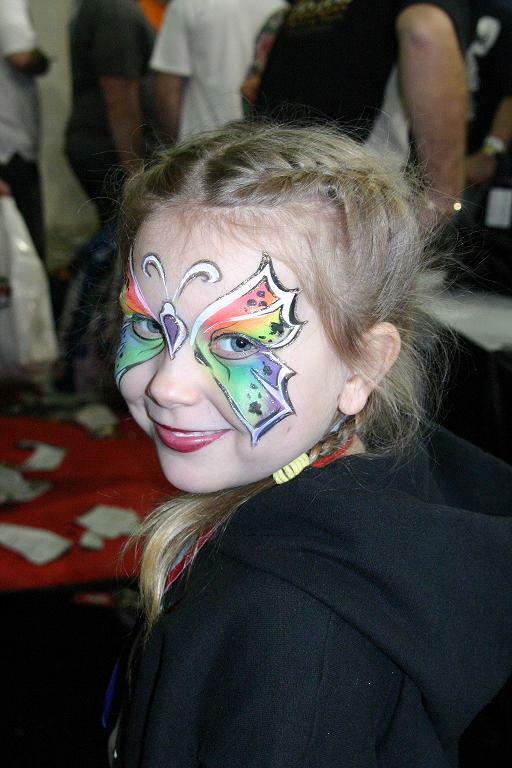 Kids have seen your typical face painting kit and although they are still excited to get painted, youâ€™d be surprised how the sight of rainbow cakes can draw in a crowd. Especially when the colors are intense, brilliant, and funky. By adding one rainbow cake to your kit,Â you are almost guaranteed to elevate your business and wow the crowd. Rainbow cakes are a face painterâ€™s best friend because they take the headache and stress out of laying down and blending multiple colors. 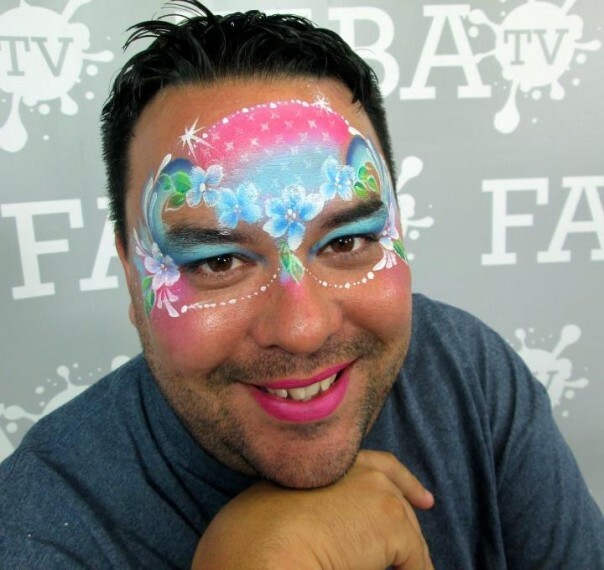 With one swipe of your sponge you can create a remarkable fantasy face that will blow away your customers. You will not only look like you can create magic with your sponge, you also will have parents asking how did you do that! 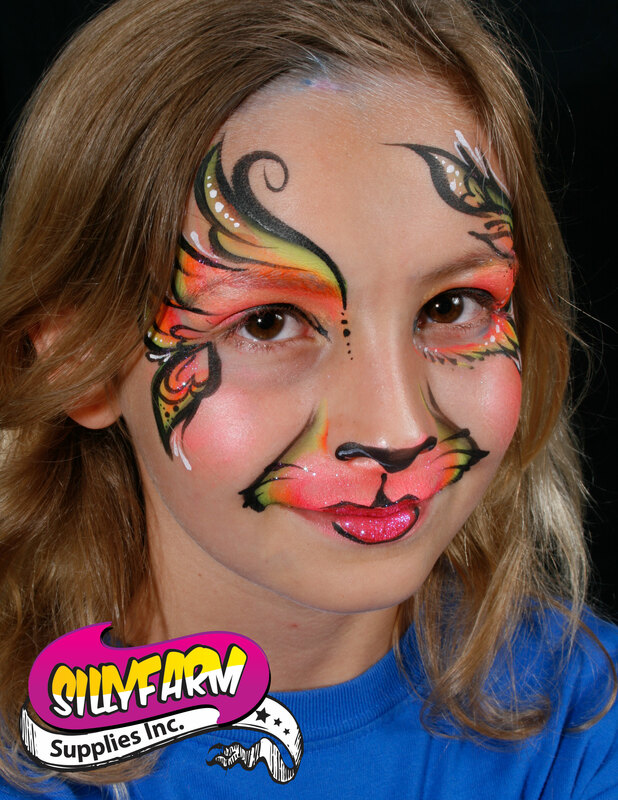 The reason you want parents involved in your face painting is because they are the ones that pay the bill and can give you the residual business. Rainbow cakes are a great investment because you can create fast impressive faces, adds loads of color to your kit, and impress the pants off your clients without having to spend a fortune. Rainbow cakes range in price from $10-$20 and currently there are over 150 different color combinations to choose from. Try one and you can thank me later.